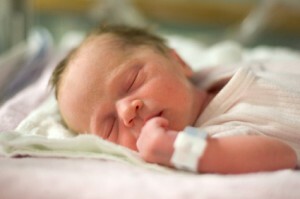 premature baby in NICU will I not be able to breastfeed now! premature baby in NICU will I not be able to breastfeed now ! When premature babies are in the NICU believe it or not breastmilk is like gold to premature babies. Providing valuable nutrients and antibodies.Some hospitals like to use donated breastmilk and you can express your own milk to be kept in the fridge for your own baby.SO yes you can breastfeed your premature baby from the start. You express the milk and if baby is taking milk by tubes straight into the tummy its poured straight into it gradually a few mils at a time. This increases as baby gets bigger and when the tubes can be removed for first feed trials then baby can be weaned onto the breast to feed normally.It is a gradual process as some very premature babies do not have a sucking reflux early on.Some NICU hospitals have a room attached where you can stay with baby whilst getting ready for bottle feeding or breastfeeding in preparation for home.If however you find you cannot manage breastfeeding but have given it a try even for a few days of getting breastmilk to your baby is a great help and has given baby a good headstart.